As of April 2014, Google +Post Ads are now available to advertisers with brand pages that have more than 1,000 Google+ followers. +Post ads allow Google+ content like, "Hangouts on Air" or "photos" to be displayed as ads through the Google Display Network (as known as Adsense). 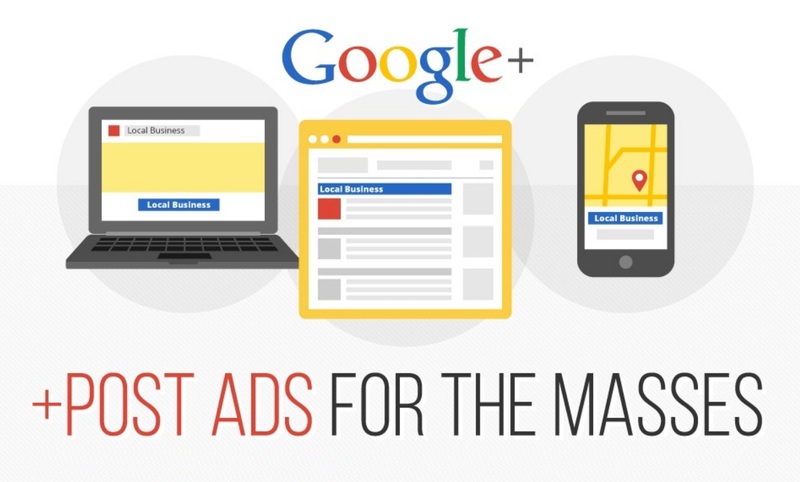 With +Post ads you can drive engagement to your GooglePlus content from multiple sources across the web. A study shows that brands who've already used +Post ads have reported 50 percent more engagement on +Post ads than traditional advertising. So why you should start advertising your Google+ post? And how can you get started? Get your answers in this infographic which comes courtesy of Tollfreeforwarding: titled +Post Ads for the Masses.